When I drew this card from my grandma’s recipe box, I was not prepared to have to grease an 8-inch square baking dish. In my mind Johnny Cake was a griddle cake, similar to pancakes. When you leave the “s” off of cakes, it becomes a very different recipe. After reading through the ingredients and method, I thought, “oh, this is a cornbread recipe”. So I did a little research on cornbread and Johnny Cake. I was equally unprepared to discover how cornmeal quick breads can create divides among communities, states, and even families. 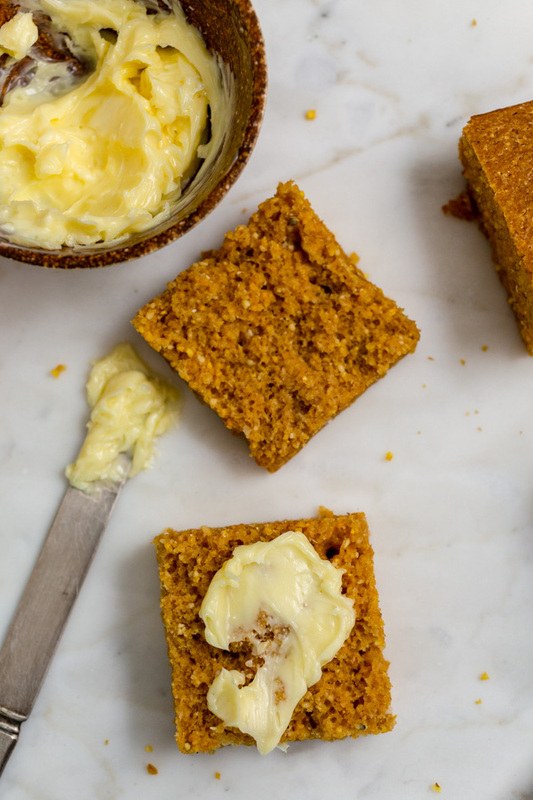 When I hear the word cornbread, I think of a sweet, yellow cornmeal quick bread served with whipped butter and drizzled with honey. This is the cornbread of my childhood. 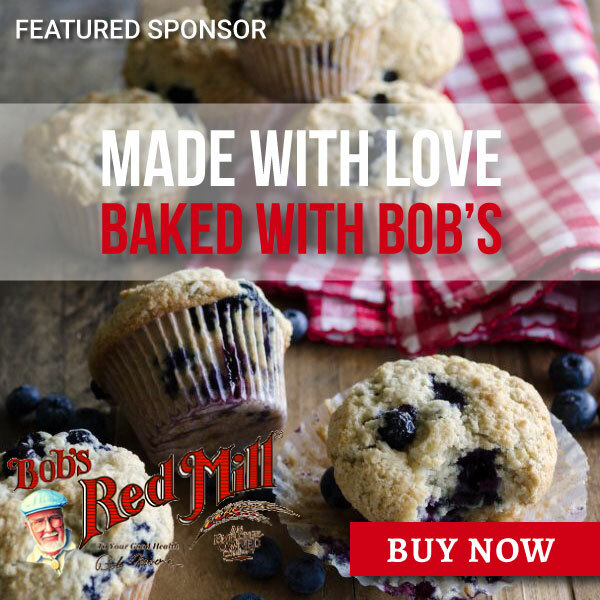 Now apparently, there are many styles of quick breads made with cornmeal including this recipe for New England Johnny Cake. This can and does lead to some very passionate discussions about what they’re called, what cornmeal should be used and whether or not they should be sweetened. As you can image, there are very strong opinions in all camps. It stands to reason that what is most familiar to us, becomes the standard we bare especially when it comes to food memories. How often have you heard – or uttered – the expression, “It’s not as good as mom’s.”? We all have the capacity to appreciate different foods, but by bearing witness to what and who nurtured us, we honor them and validate in our own identities. PS. Here is an article and video that I found pretty darn interesting when I was doing my Cornbread Divide research. 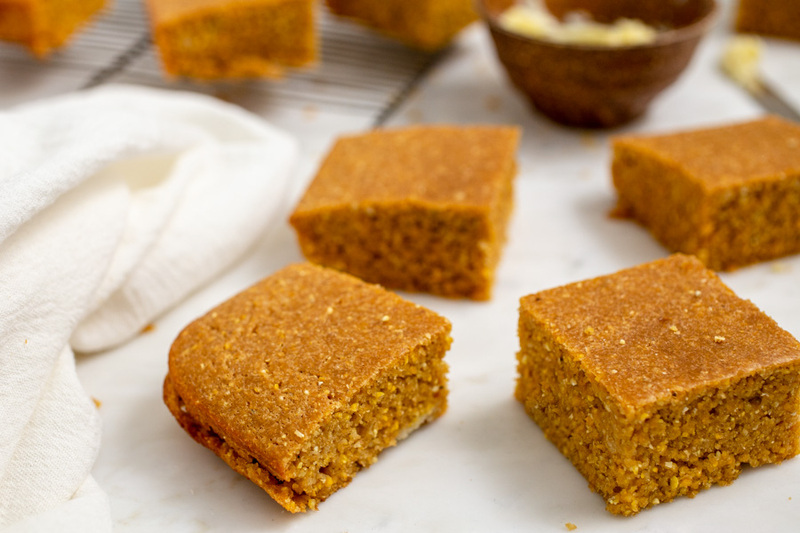 The article, by Kathleen Purvis, explores how the addition of sugar to cornbread creates racial divides. And the video, has a wealth of information about colonial wheat, Indian corn, and the sensibilities of the color of baked bread. Enjoy! 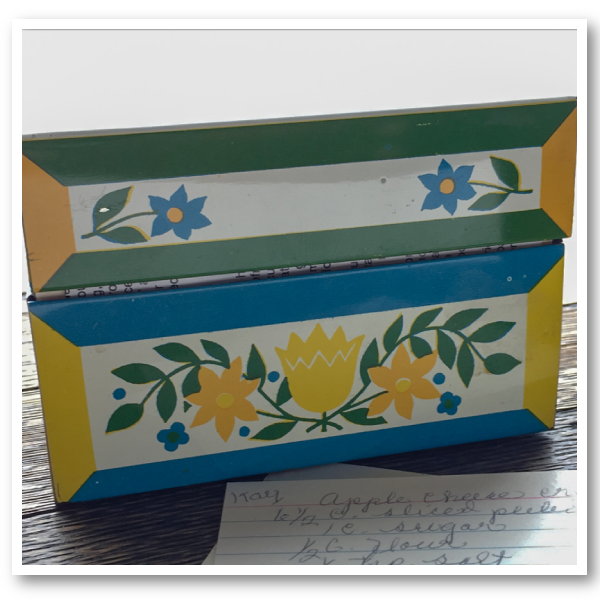 Grandma Florence’s recipe box, and the recipe card for New England Johnny Cake. 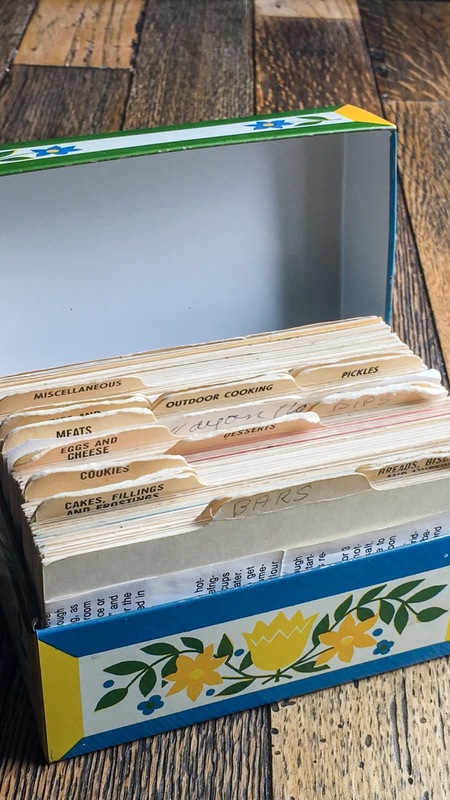 This recipe for New England Johnny Cake from my grandma's recipe box was a surprising find. It is like cornbread, but not the sweet version I grew up with. Heat oven to 375˚ F.
Sift flour, baking powder and salt into a large bowl. Add the remaining ingredients and stir until smooth. Pour into prepared baking dish and bake for 15 - 20 minutes or until cake tester comes out clean. Turn upside down on cooling rack for a minute or two - that's what the recipe card says. Cut into 16 squares and serve immediately (grandma's note) I actually cut mine into 9 squares, grandma was frugal.